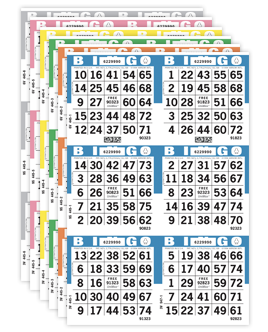 Load up these high quality point of purchase bingo ink displays with your favorite Arrow bingo ink markers to increase your ink sales. It's a great way to feature new ink products or to remind your players that they need more ink markers. Don't pass up a chance to make a sale! 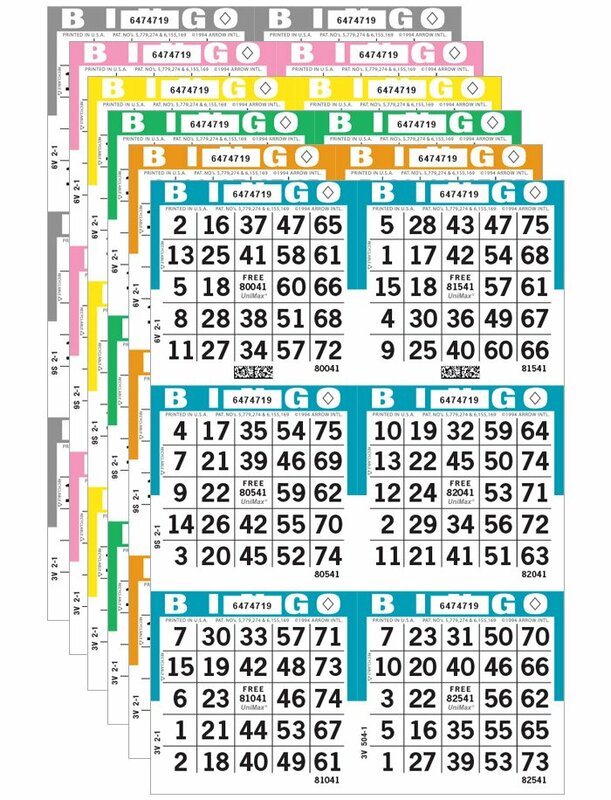 The metal spinning bingo ink rack has a small footprint for small spaces, yet it's strong, durable, and lightweight. It features a convenient carrying handle that can also be used to display signs or pricing information. 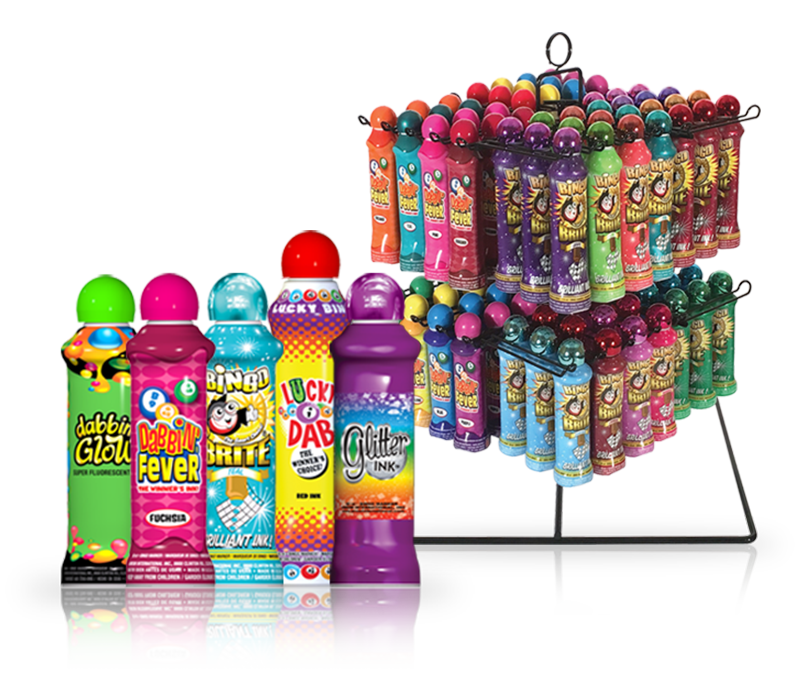 This display rack can hold 96 Groove Grip™ bottles and rotates 360 degrees, so consumers have full viewing capability. The metal spinning rack comes ready to use with no assembly required, ink is sold separately and is not included with the purchase of this display rack. 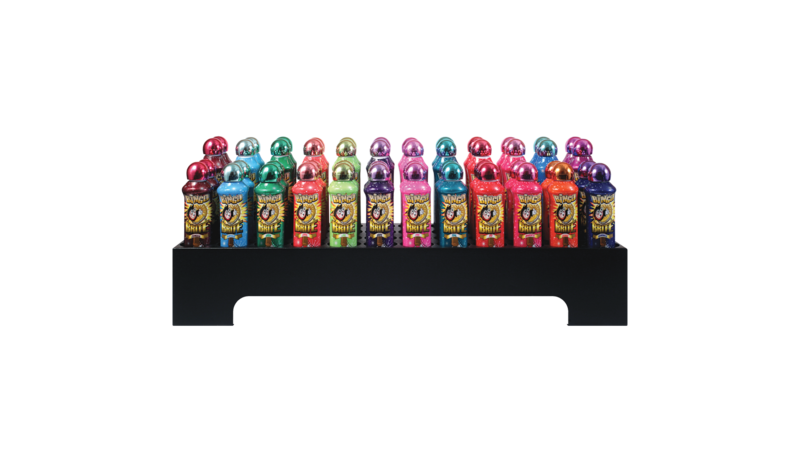 The rectangular, metal bingo ink display rack holds 48 Groove Grip ink bottles. It features a sleek design that is easy to refill with your preferred ink. This display rack comes ready to use with no assembly required. Ink is sold separately and is not included with the purchase of this display rack. 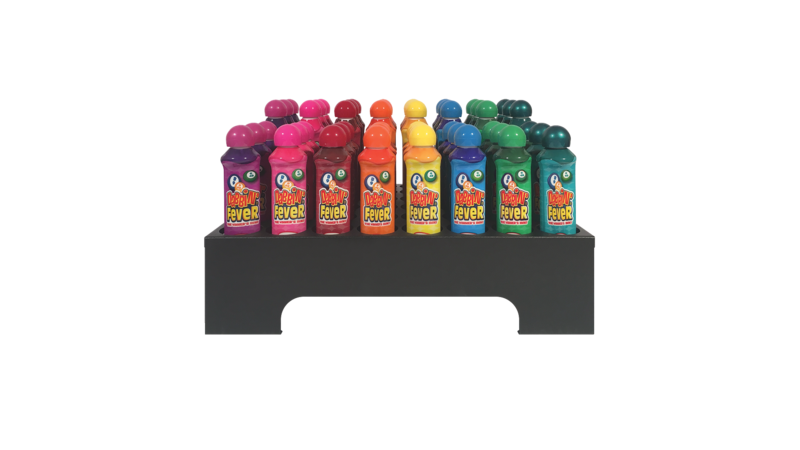 The square, metal bingo ink display rack holds 48 Groove Grip ink bottles. Just like our rectangular model, this display rack features a sleek design that is easy to refill with your preferred ink. This display rack comes ready to use with no assembly required. Ink is sold separately and is not included with the purchase of this display rack. This ink display is a white, corrugated cardboard display box. 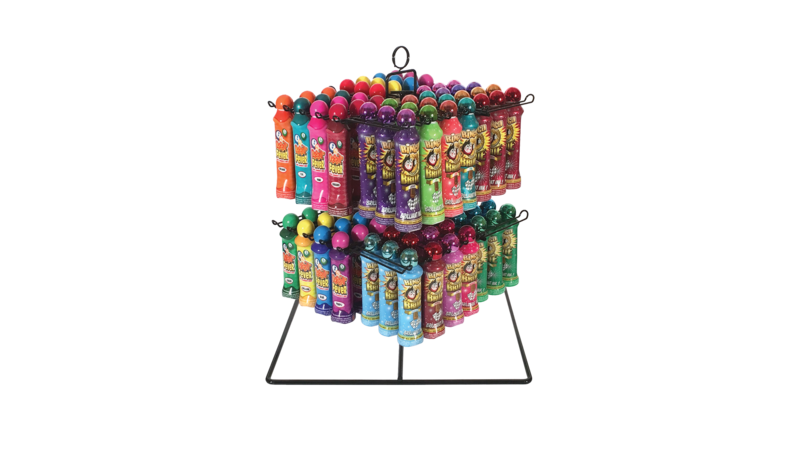 It holds up to 72 three ounce Bingo Pals ink bottles. The corrugated ink display box is sold as a set of five displays per item number. 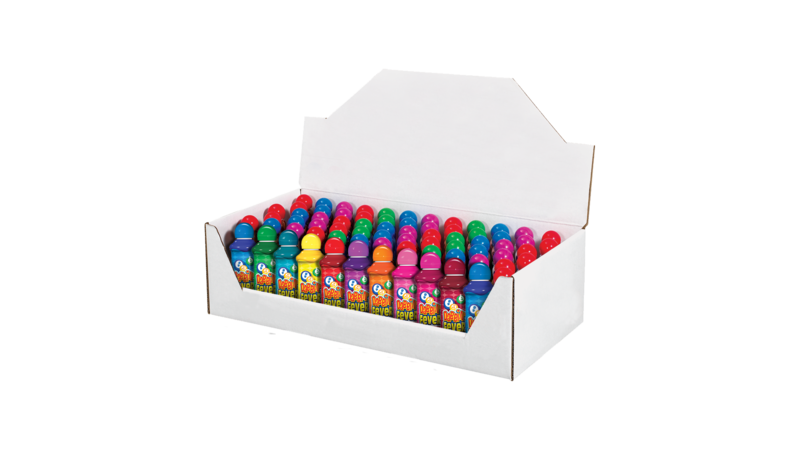 Bingo Pals® ink is sold separately and is not included with the purchase of this display box.